If you’re old like me then the phrase “back to school” usually elicits memories of the late and great Rodney Dangerfield. In this case, I’m talking about Steelers’ Head Coach Mike Tomlin and linebacker Arthur Moats who delivered keynote addresses at Robert Morris and James Madison respectively. Moats spoke at his alma mater where the weight room was also named in his honor. Tomlin received an honorary doctorate during his visit. You’ll see lots of little moves here and there as the spring rolls into summer. One such move was the signing of offensive tackle Jake Rogers. He most recently was with the New York Giants. Released by the team were wide receiver Dez Stewart and long snapper Kameron Canaday. With Pittsburgh drafting long snapper Colin Holba, Canaday was no longer necessary. The duel is now set. Veteran Greg Warren will battle the rookie Holba for the long snapping job. 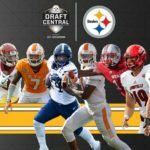 Tweet of the Day… Vince Williams opines about chicken wings and I concur! Boneless chicken wings are chicken nuggets. SAUCED CHICKEN NUGGETS. I discussed the dangers of purchasing a rookie’s jersey last week and here again is a prime example. Look at the title of the article and then look at the jersey. The number’1′ is issued to all draft picks. If you order this thinking it’s James Conner’s actual number may god have mercy on your soul. 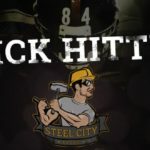 The Steel City Blitz Podcast presented by 26shirts.com/Pittsburgh will return on Thursday night at 10pm Eastern! 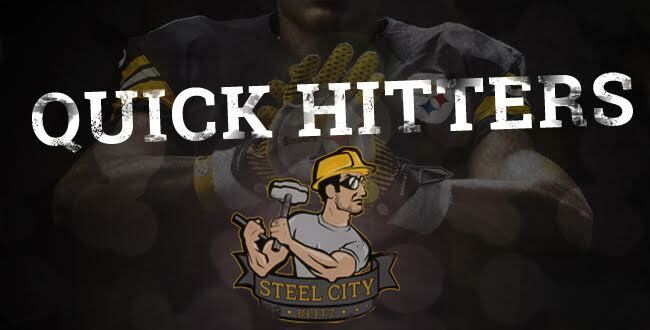 Have a great start to the week Steeler Nation!